AH: Steve, could I ask you a couple of questions about Solution Focused Therapy and Ludwig Wittgenstein, a brief interview by e-mail for our Newsletter? SdeS: OK, go ahead and ask Q and I will respond as best I can. AH: SFT is often connected with Wittgensteinian philosophy. Could you explain the link? SdeS: As I see it, my job is to make useful descriptions of what Insoo and her clients do that works. Once I have those, then I can try them with my clients, then into research, and training etc. Sometimes I need help with this, particularly when trying to make these descriptions make sense to other people and often Wittgenstein helps. AH: Could you give an example of such a description and how Wittgenstein was helpful? SdeS: Early on I noticed that Insoo and here clients never spent any time on explaining things — and neither did John Weakland — and I also noticed that more traditional therapists spent a great deal of time with their clients attempting to develop explanations (which I never found convincing) and, as far as I could tell the clients seemed to hold onto the ones that they had brought along into therapy, so therapist were wasting their time. But what does Insoo do instead? Weakland? Well, John spent the time helping the client DESCRIBE in detail each and every effort he had made to resolve his complaint while Insoo spent a similar amount of time helping her clients DESCRIBE in detail what it is they want from the therapy, etc. Wittgenstein says (somewhere) that we need to eliminate all explanation and description alone must take its place. Furthermore, in the same place he talks about eliminating anything hypothetical. With both “hypothetical” stuff and “explanatory” stuff eliminated, theory too must be “set aside” which Wittgenstein says is difficult because it means that we have to accept that things are the way they are. AH: When did come across Wittgenstein and how did you become interested in his ideas? SdeS: At some point in the mid 80’s somebody remarked to me, while watching a session through the mirror, that “they are doing nothing but talking in there”. This casual remark led me to realize that this “talk” or “language” is our actual data and, thus we need to take good hard look at “language in action”. Thus Wittgenstein. Of course I knew him from earlier reading when I saw him as a philosopher of science, and therefore I had to change my way of reading him. AH: This reminds me of a quote by the French Philosopher Joseph Joubert “Misery is almost always the result of thinking”. A (slight) change of the client’s perception as a result of talking with the therapist, is that all that therapy is about? SdeS: Yes. That’s all. As long as it leads the client to think, feel, behave, etc in some different way between sessions and after therapy is done. AH: Wittgenstein was critical of his older contemporary Sigmund Freud, also from Vienna. Critical of the dominance of interpretation in psycho-analysis and the never ending free association. Wittgenstein called ‘Discoveries’ even persuasions. I have a question for you that needs some imagination. How do you think Ludwig Wittgenstein would evaluate Solution Focused Brief Therapy? SdeS: WOW! This is too difficult for me. I would need to think like Wittgenstein in a much more focused way – which I have never been able to do. AH: Could I give it a another try? I guess that Wittgenstein would have liked the scaling question: measuring the clients perception with a number, in relationship to other numbers (goals, solutions) on the scale. Please comment. SdeS: Perhaps you are right. 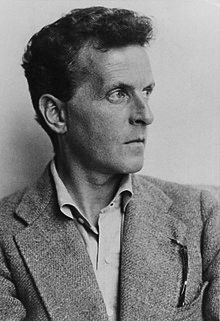 AH: Although Wittgenstein’s last words were, “Tell them I’ve had a wonderful life”, I assume he did not have an easy life because it was dominated by moral values and philosophical perfection. 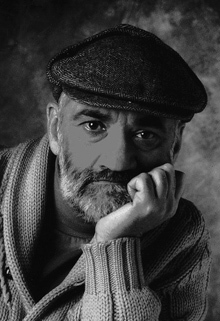 Did reading about his life in one way or another inspire you? SdeS: I guess he reinforced in me my tendency toward “minimalism” and the idea that it is perfectly OK to change your mind about stuff – which might mean “follow your data” and do not have a theory. AH: What is your main objection to having a theory ? SdeS: Theory in addition to offering to explain everything, also tells us what must be and/or what should be, thus getting in the way of our seeing what is.